Eric Andersen returns to Natalie’s with his trio to celebrate the release of “The Essential Eric Andersen, a 42-track retrospective covering fifty years of his recorded history. The Double CD Set will include the important classics which span across all his albums, including his early classics “Thirsty Boots” “Violets of Dawn” and “Close the Door Lightly”, and is being released by Sony/Legacy Recordings. Andersen first came to prominence as a performer in Greenwich Village in the early 1960s and immediately became part of the Village folk and songwriter scene along with Phil Ochs, Tom Paxton, Dave Van Ronk, and Bob Dylan, and was at the epicenter of the American Greenwich Village singer-songwriter explosion. Besides his own classics, he’s co-written songs with Bob Weir of the Dead, Townes Van Zandt, Rick Danko, and Lou Reed. His songs have been covered by many artists including Mary Chapin Carpenter, Judy Collins, Fairport Convention, Rick Nelson, John Denver, Linda Ronstadt, The Grateful Dead, Peter, Paul & Mary, The Blues Project, Gillian Welch and Linda Thompson, and Rick Danko. Bob Dylan’s version of Eric’s song “Thirsty Boots” was released as a single on Record Store Day and also appears on the Dylan CD Another Self Portrait. 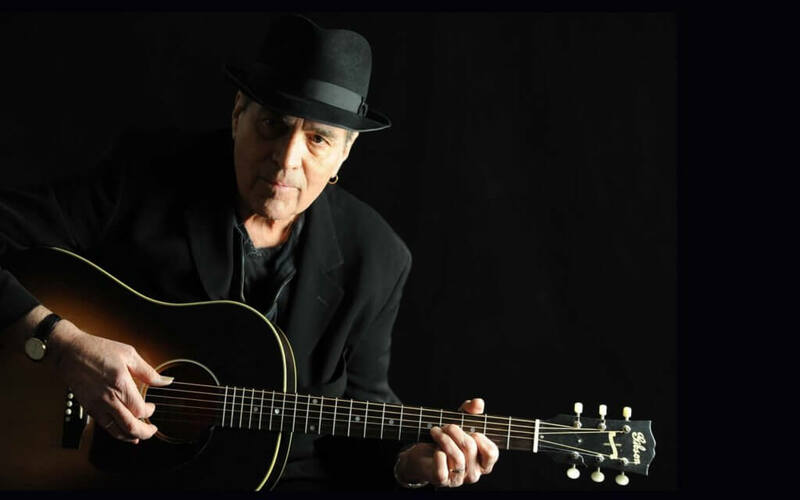 Eric Andersen’s poetical songs have entertained and captivated audiences worldwide. He plays acoustic guitar, electric guitar, harmonica and piano/keyboards in concert, and performs songs which span across all his albums, as well as exciting new material from his recent projects like Camus and Lord Byron.